Packed with beneficial nutrients, the elderberry has been used for its medicinal and health benefits for thousands of years. During The Middle Ages, the elder was considered a Holy Tree due to its capability to enhance health and longevity. While the health benefits of elderberry are many, one of its shining stars is the impressive nutrition it provides. Elderberry’s oxygen radical absorbance capacity (ORAC) score is over two times as much as blueberry and cranberry. 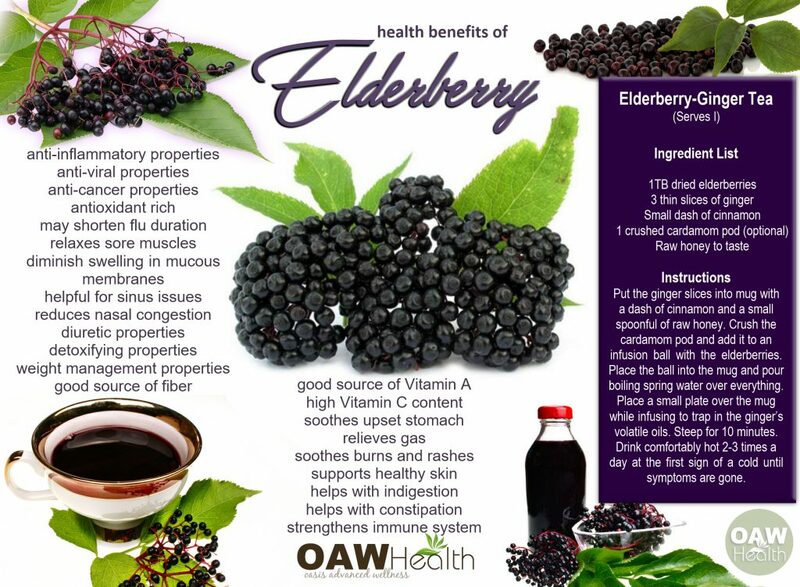 Elderberry is also comprised of trace minerals and provides more vitamin C than oranges. Research shows that the health benefits of elderberry include: supporting brain health, improving immune system health, safeguarding blood vessels and decreasing the growth patterns of cancer cells in the body. Because the bioflavonoids in elderberries can boost skin health, elderberry is becoming more and more popular in skin care products. The antioxidant activity in elderberries, along with its impressive levels of vitamin A, make elderberries a good solution for smoothing the appearance of wrinkles, fading age spots, and generally improving the glow and tone of your skin – your body’s largest and most visible organ. 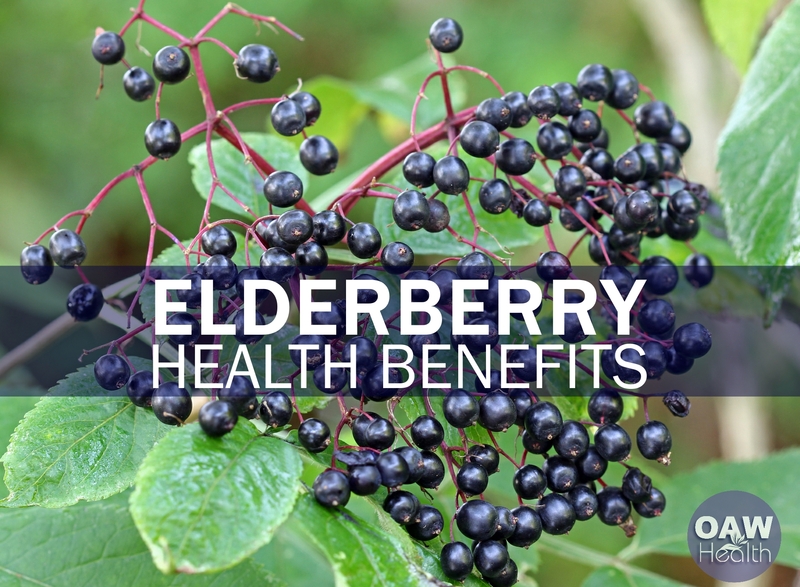 Containing a high level of dietary fiber, combined with the metabolism-speeding effects of a solid vitamin and mineral injection, another of the many health benefits of elderberry is its ability to support weight loss. 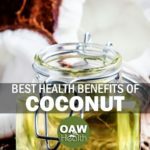 The fiber helps to keep you feeling full, the low-calorie count doesn’t promote weight gain, and an added plus is that your body will get dozens of other health benefits as well! Word of Caution: Considering that so few species of elderberry are edible, it is always wise to find elderberries in a reputable store or from reputable farms and farmer’s markets. Don’t pick wild elderberries and always cook elderberries before eating, as they may contain dangerous traces of cyanide. If you are allergic to plants in the honeysuckle family, be careful about adding elderberries to your diet. Elderberries are also known to act as diuretics for some people, so if you are already fighting kidney issues, elderberries may exacerbate them. A proven, natural way to protect yourself from the flu is with regular doses of elderberry. Studies now confirm that flu and cold health benefits of elderberry include its ability to boost immunity, offset flu symptoms, and calm those pesky respiratory infections. While synthetic flu drugs concentrate on dealing with infections after they have developed — and may provide you with negative side effects as well — elderberry has natural stopping ability. Anthocyanins, found in the pigments that give elderberry its dark pigments, have been found to be capable of preventing viruses from reproducing and infecting new cells. 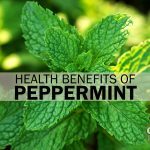 They also have the ability to kill many of the bacteria that cause chest and respiratory infections. The results of a two-year study conducted in Australia found that European elder (Sambucus nigra L.) extra curtailed the extent of cold and flu symptoms. 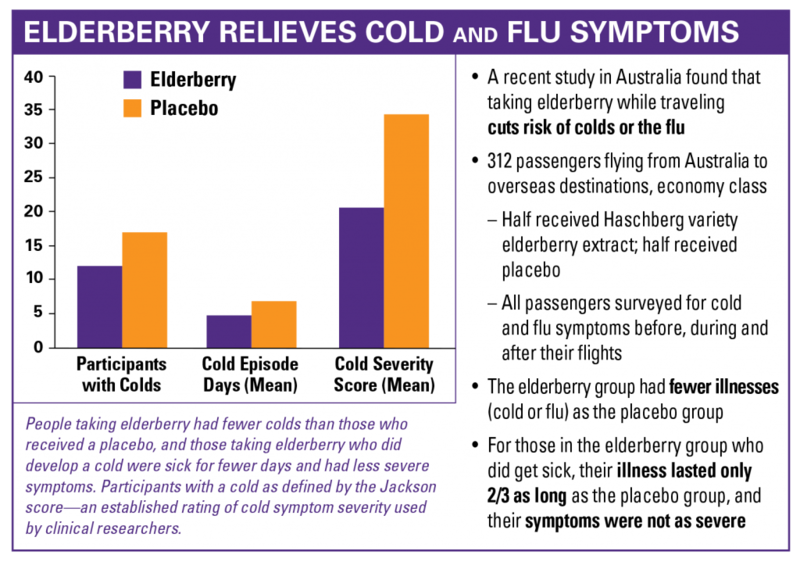 A group of long-distance air travelers were divided into two groups, with one (154 people) taking a placebo and the other (158 people) taking a propriety elderberry extract. The results showed that the group given elderberry showed far better results. The group taking the elderberry extract (daily doses of 600 to 900 milligrams of elderberry extract for 15 days), showed half the rate of respiratory infection, reported being sick for only half as long, and developed symptoms that were half as severe as those who took the placebo. Additionally, they also reported better health overall. Researchers also have found that people who have taken elderberries have higher levels of antibodies against the influenza virus, showing that not only may the berry be able to treat flu symptoms, it may also be able to prevent influenza infection. Taking elderberry syrup during the active stage of flu and colds, to lessen distress, appears to support immune function and offers a natural, safe and helpful option. Using elderberry as part of a daily wellness plan during cold and flu season for immune support, inhibition of oxidative stress, and as an antiviral makes sense for the support of a healthy immune system. Put the ginger slices into mug with a dash of cinnamon and a small spoonful of raw honey. Crush the cardamom pod and add it to an infusion ball with the elderberries. Place the ball into the mug and pour boiling spring water over everything. Place a small plate over the mug while infusing to trap in the ginger’s volatile oils. Steep for 10 minutes. Drink comfortably hot 2-3 times a day at the first sign of a cold until symptoms are gone. In conclusion. It has been said that because of the many medicinal properties included in the elderberry plant, it is commonly called “the house pharmacy.” From colds and flu, to arthritis, to beautiful skin, elderberries and elderflowers offer bountiful medicines. Kozłowska, A, and D Szostak-Wegierek. 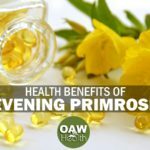 “Flavonoids–Food Sources and Health Benefits.” Roczniki Państwowego Zakładu Higieny. 65.2 (2014): 79–85. Web. 25 July 2016. 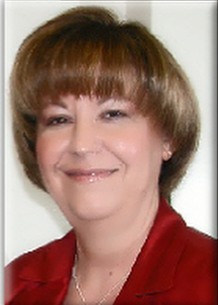 Barak V, Halperin T, Kalickman I. “The effect of Sambucol, a black elderberry-based, natural product, on the production of human cytokines: I. Inflammatory cytokines.” European Cytokine Network 2001 12(2):290-6.